The tech-savvy group of engineers and entrepreneurs at Bollente Companies, Inc. (publicly traded as OTC:QB "BOLC"), based in the Phoenix metro area, will unveil a quantum leap in water heating technology at the NAHB International Builders Show February 4 through 6, 2014 in Las Vegas (booth #S2036). 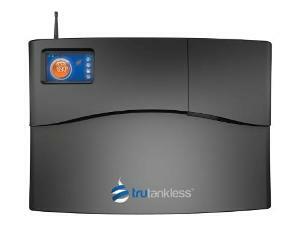 Packed with patent-pending proprietary technology, trutankless™ is a new line of electric tankless water heaters masterfully engineered to outperform and outlast its predecessors. In fact, it comes complete with its own mobile app (iOS and AOS) that allows homeowners to monitor water usage and control temperature and operation from their smart phone or mobile device. There's no doubt that tankless water heaters represent the number one growth driver in the water heating industry. Tankless sales have grown from $100 million in 2003 to over $700 million in 2013. In fact, the segment has gained this significant momentum despite some meaningful challenges. For instance, the steep price point and installation costs of gas-powered tankless units have made this option cost-prohibitive for many homeowners; not to mention that natural gas is not readily available to almost 50% of homes in the U.S. Thus, the segment of the tankless market poised for the fastest, most substantial growth is: the electric unit that can serve an entire household. Enter Bollente with trutankless™. "Each year up to 7.8 million water heaters are replaced, and it's estimated that 27 million households have water heaters that are more than 10-years-old, nearing the end of useful life," said Derrick Mains, COO of trutankless, a division of Bollente Companies. "Frankly, until trutankless™, there has been no viable upgrade on the market to displace electric tanks as the source of hot water in U.S. homes." While the product's debut to the market is imminent, several units have already been installed and the feedback has been overwhelmingly positive. "There's no doubt that trutankless™ is a game changer for the water heating world," said Steve Ettlinger, a Roto Rooter franchise owner in St. Augustine, Florida. "For the first time in decades, this product brings something new, something exciting to the market—a market that's hungry for it. The timing of this product couldn't be better and I am confident sales will be strong from the start." But homeowners are not the only ones who are bound to be pleased. A trutankless™ commercial model has been installed at a high-volume SUBWAY franchise in West Virginia. "I wish we could have done this sooner," said franchise owner Bill Riggall. "The performance is flawless—and we're a super busy shop. Installing the trutankless™ unit has not only had the obvious benefit of saving energy and money, but that spot where an 80-gallon tank used to stand is now added storage space. Talk about a win-win-win." The trutankless™ product line is set to debut at the upcoming NAHB International Builders Show (IBS) February 4 through 6, 2014 in Las Vegas. IBS is the largest annual light construction show in the world, and this year, for the first time ever, the show is co-located with Kitchen & Bath Industry Show (KBIS). Among the 75,000 attendees expected are high level decision makers from some of the largest home builders in the nation as well as plumbing and HVAC professionals from top outfits in major markets. Notably, trutankless™ COO Derrick Mains has been selected from among hundreds of exhibitors to give one of three presentations being offered to industry professionals for Continuing Education Credits. His presentation, entitled "If These Walls Could Talk", will cover the emergence of smart home appliances and their capacity to maximize efficiency, reduce cost and increase customer retention and satisfaction.